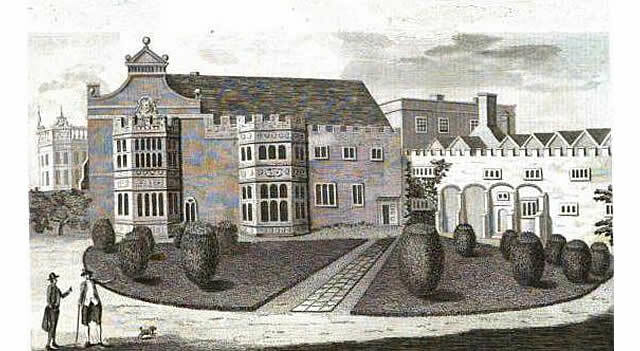 Hinchingbrooke House in Huntingdon, Cambridgeshire, was built around an 11th-century nunnery. After the Reformation it passed into the hands of the Cromwell family, and subsequently, became the home of the Earls of Sandwich. Richard Williams was born by 1502 in the parish of Llanishen, Glamorganshire. He was eldest son and heir to Morgan Williams, an aspiring Welsh lawyer who moved from Glamorgan to Putney where he initially pursued his business of innkeeper and brewer. Williams' good fortune was to marry Katherine, the elder sister of Thomas Cromwell long before the commencement of the latter's illustrious career as Henry VIII's great minister. Richard was brought into the court of King Henry VIII by an alliance with Thomas Cromwell, the great favourite of Henry, whom that monarch raised from a humble situation to be Earl of Essex, Vicar-General, and Knight of the Garter. Introduced to Henry VIII, by so powerful an interest as Cromwell, and possessing many qualifications, Richard Williams soon benefitted from the royal bounty which Henry lavished on his favourites. He was entrusted with considerable appointments early in the administration of his relation; and it appears that he was active in suppressing the Pilgrimage of Grace insurrection. On 8 March 1538, Richard Williams (alias Cromwell) had the grant of the nunnery of Hinchinbrook, in Huntingdonshire, for the undervalued price of £19. 9s. 2d. while he was an official Visitor overseeing the dissolution of the monasteries. His son, Henry Williams (alias Cromwell) — a grandfather of Oliver Cromwell — built the house adjoining to the nunnery, and upon the bow windows he put the arms of his family, with those of several others to whom he was allied. Mark Noble wrote, in 1787 "The nuns apartments, or cells, at Hinchinbrook, are now entire, and are used as lodging-rooms for the menial servants; their common room was what is now the kitchen; the church is destroyed, except some trifling remains, now part of one of the walls of the house, and seem to have been the corner of the tower; near this place in lowering the flooring, a few years ago, one or more coffins of stone were found." Earl of Sandwich is a 17th-century noble title in the Peerage of England, nominally associated with Sandwich, Kent. It was created in 1660 for the prominent naval commander Admiral Sir Edward Montagu. He was made Baron Montagu, of St Neots in the County of Huntingdon, and Viscount Hinchingbrooke, at the same time, also in the Peerage of England. The second Earl's great-grandson was John Montagu, 4th Earl of Sandwich, who was a prominent statesman and served as First Lord of the Admiralty and as Secretary of State for the Northern Department. Lord Sandwich is also remembered for sponsoring the voyages of discovery made by Captain James Cook, who named the Sandwich Islands in his honour, and as the namesake of the sandwich. It is said that he ordered his valet to bring him meat tucked between two pieces of bread, and others began to order "the same as Sandwich!" It is commonly said that Lord Sandwich was fond of this form of food because it allowed him to continue playing cards, particularly cribbage, while eating, without using a fork, and without getting his cards greasy from eating meat with his bare hands. The sober alternative is provided by Sandwich's biographer, N. A. M. Rodger, who suggests Sandwich's commitments to the navy, and to politics and the arts, mean the first sandwich was more likely to have been consumed at his desk. In 1970, it became part of Hinchingbrooke School, housing the 6th form. 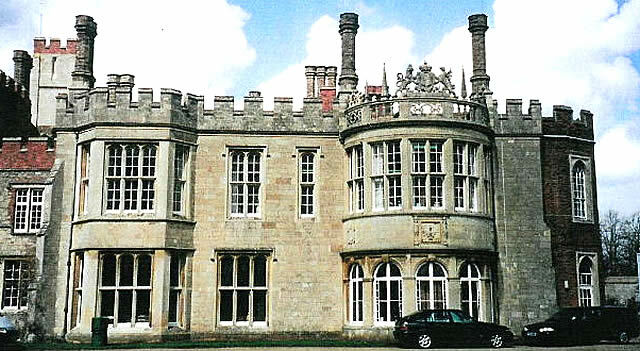 Hinchingbrooke School was formerly Huntingdon Grammar School which, on the site of what is now the Cromwell Museum in Huntingdon, was attended by Oliver Cromwell and Samuel Pepys. The school now has around 1900 pupils. More recently, while still being used as a school, Hinchingbrooke House has turned into a critically acclaimed scare attraction in the Halloween season called 'The Horror at Hinchingbrooke House'. It is a Grade I listed building and is open for tours on Sunday afternoons in the summer season. There is some parking for disabled visitors at the front of the school within 50m of reception and the school site is accessible for wheelchair users and assistance dogs are welcome. Note: the house is only open to visitors on Sunday afternoons but tea and cakes are included in the admission price. Transport: Huntingdon (National Rail) then bus or 8 Minutes. Bus Routes : 66, 400, 401, 402, 404 and 405 stop outside.